Traditional energy companies are beginning to invest more heavily into solar energy in several states. These companies have long relied on fossil-fuels in order to generating t electricity that consumers and businesses need, but they are beginning to show more favor for small-scale solar power. They are focusing on deploying rooftop solar panels as homeowners become more interested in renewable energy and look for ways to save money on their energy bills. Last year, the installation of photovoltaic systems grew by 50% throughout the country. These energy systems have become significantly less expensive over the years, making it easier for homeowners to acquire them. 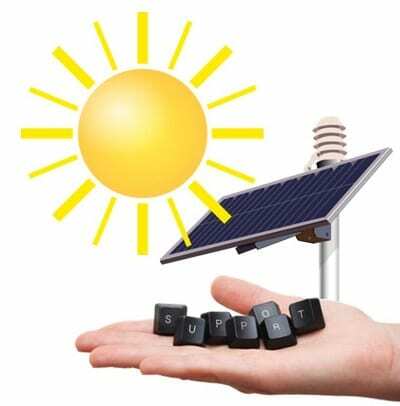 Several solar energy companies have also begun offering financing options that further increase access to solar power systems. The residential sector has seen the most significant growth in terms of the adoption of solar energy, largely because homeowners are looking for an alternative to conventional forms of energy. Utilities in Arizona, Georgia, Michigan, and Texas have begun experimenting with solar energy, looking for ways to make this form of clean power more affordable for consumers. CPS Energy, an energy company based in Texas, suggests that other companies are beginning to show support for solar energy because of demand from consumers. CPS Energy’s vice president Raiford Smith notes that if traditional utilities do not meet the needs of consumers, other companies will and take up a greater portion of the market. While the adoption of solar energy is growing among consumers, some homeowners may face high costs associated with their consumption of solar power. NV Energy in Nevada and PNM in New Mexico are considering charging consumers a special fee when they use new forms of energy. Despite this, the actual cost of solar technology is falling, which may balance out the financial aspects of supporting this form of clean energy. If in fact the utilities are going to increase the time and money they are spending on solar energy projects, it’s only because they see the handwriting on the wall that photovoltaic solar combined with home energy storage devices will mean that utilities will become dramatically less important when it comes to energy delivery.